The 16 x 1 needles fit a Signature (Casige), Casige 1015, Junior Miss, Lindstrom Little Miss, Tole Flower, Casige (Plate 64, 55, 2-116), Little Lady by Yale, Red Riding Hood, American Girl and Little Sister. 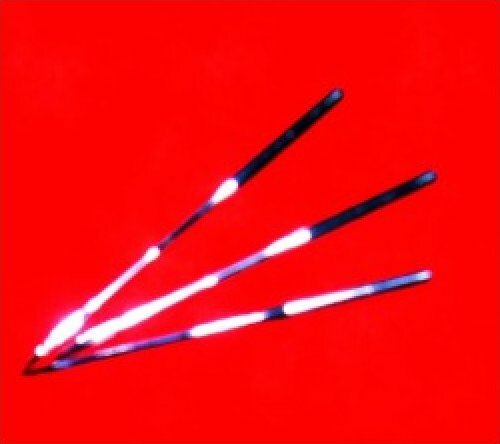 You will receive 3 needles in a package for the $ 3.00 price. These needles DO NOT FIT A SINGER. They also do not fit ALL CASIGE TOYS. If you are not sure which needle your toy takes, please email and we may be able to help you find out.